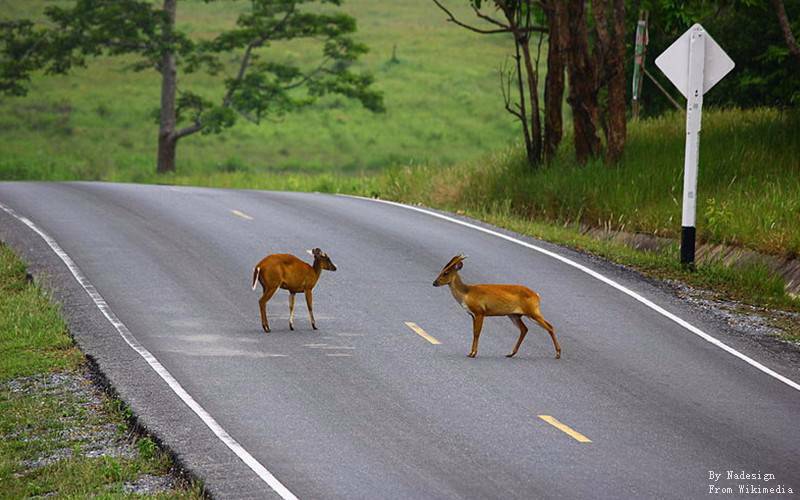 It was the first national park in 1962 and, currently, it is the third one largest in the country, extending 2,168km² of forests and grasslands into Prachinburi, Saraburi and Nakhon Nayok Provinces. Its checkpoint is only 2.5 hours away from Bangkok. The average altitude of the national park ranges from 400 to 1,000 metres asl., and Khao Rom mountain is 1,351 mts high. 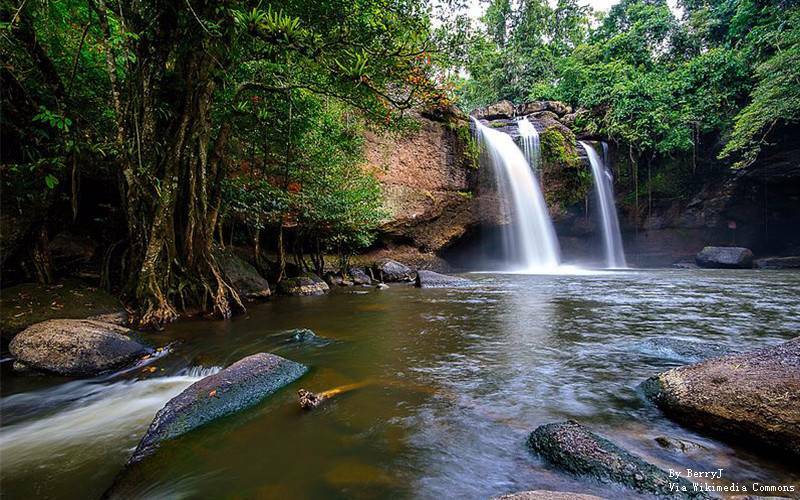 The park is a World Heritage Site declared by UNESCO, encompassing five protected zones from Khao Yai to Cambodian border. There are more protected areas like Thap Lan, Ta Phraya and Pang Sida National Parks and Dong Yai Wildlife Sanctuary. More than 80 percent of the park has various types of flora such as tropic and dry evergreen forests, mixedand dry dipterocarp and deciduous forests, and grassland. There are about 2,000 species of plants that amaze the visitors. Lofty trees coated in mosses, climbers and epiphytes, matted trunks with figs, fallen lianas and spiny rattan palms, graceful ferns, colorful lichens and ever-changing fungi. It covers around 70% of the park. Dipterocarps are an important species found within these forests. They cover the lower hillsides of Khao Yai. Within the many kind of species of plants, there are Dipterocarps, Hopia and Bamboo. These forests also coat the lower slopes of Khao Yai. Here the most prominents plants are Xylia, Afzelia, and Lagerstroemia. It grows above 1,000 metres and trees are smaller and there are a big number of ferns, epiphytes and mosses. Within here, the most significant varieties are Lithocarpus and Castanopsis. These areas provide a grazing area during the whole year for some of the animal population. They supply a very welcome to the woods and its visitors. The park is pruned annually by burning to inhibit invation of trees and to purvey grazing for some animals. Wildlife in Khao Yai's forests is abundant of 46 mammal species, at least 74 of herptile and various of invertebrates, but all of them are often difficult to see. Mournful hoots from Gibbons give a peculiar morning wake-up call. 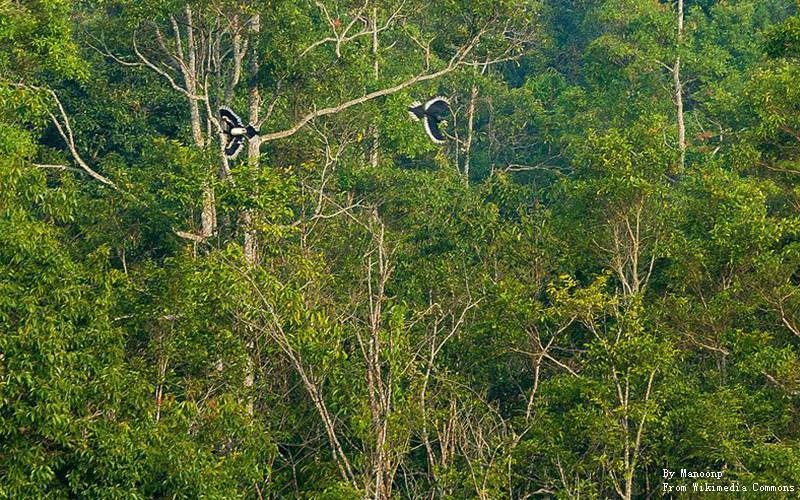 If you walk very quiet through the forest, you may have luck and see some of these apes on the trees. Sometimes it is possible to see Pig tailed macaques on the roadsides. Civets, porcupines, squirrels and wild pigs are other species. Snakes and lizards are usually noticed by a rustle in the undergrowth. One of the main allures are the White-handed or Lar gibbon and the Pileated gibbon. Numerous animals can be seen on the meadows as gaur and Sambar and Barking deer. Elephants rarely are spotted at salt-licks or, if you're lucky, on the way in the evenings. There are many carnivore species such as clouded leopards, golden cats, marbled cats, dholes and leopard cats. About tigers, the last official record was in 2005. Nevertheless, some people continue declaring some sightings so then visitors still coming to the park, and they say they could see these ferocious felines along the wayside or hunting on the pasturage and close the Sai Sorn reservoir. 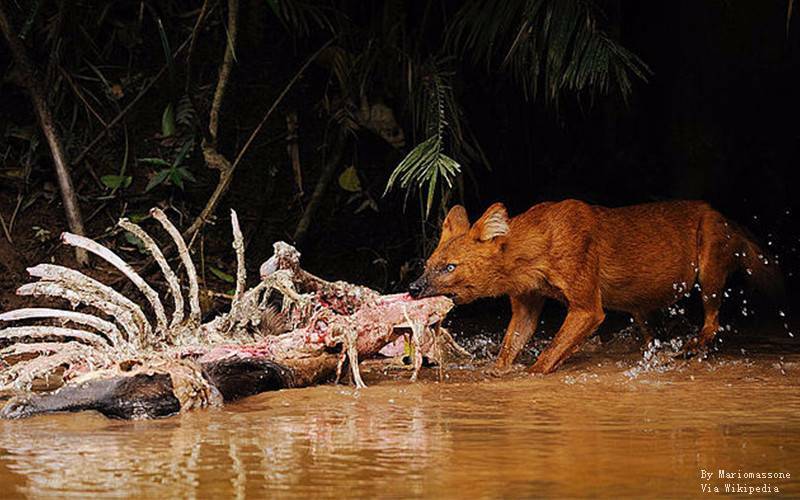 Other mammals include asiatic black bear, Binturong, serow, sun bear, Hog Badger, Mouse-Deer and Pangolins. Approximately 1 million of insect-eating bats dwell in a cave on the border of the park. About 3 km to the north away from the Pak Chong entrance gate, and going up to the hill. It's very important not enter the cave because you could disturb the bats. Also, it's not a good idea using flash when taking pics. Lots of them! Over 320 species! They make their presence known by a tweet or flutter of wings. You will really need patience, good field glasses and a bird guide. It is highly recommended start with the grasslands, waysides, the old golf course and the watching towers. Hornbills are pretty easy to spot, also hear the chirrup of the Indian Pied often seen in big flocks close to Nong Pak Chi Tower in the evenings, or the sound of the Great Hornbill generally viewed in pairs or alone. 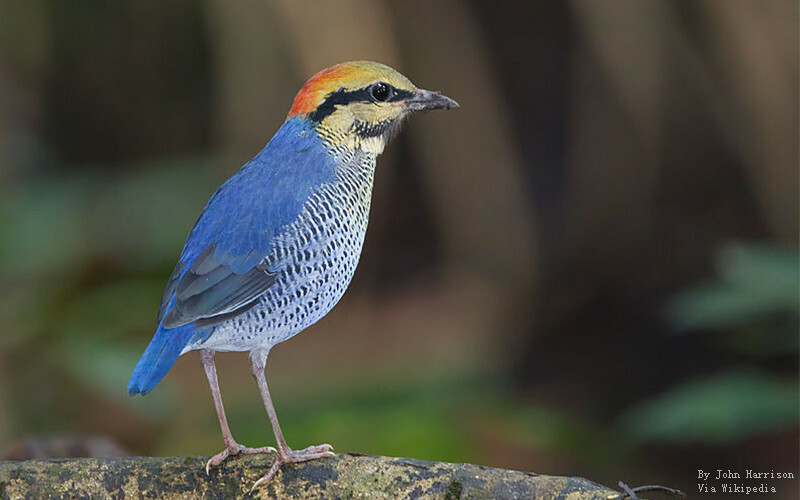 Another often-seen species are Siamese fire-back and silver pheasants. Some sightings of Siamese crocodiles happened. There is a debate about the emergence of crocodiles: some people think they were released there while others believe they are part of a genuine wild fauna. These reptiles are not aggressive with humans and they don't grow larger than 3 metres. 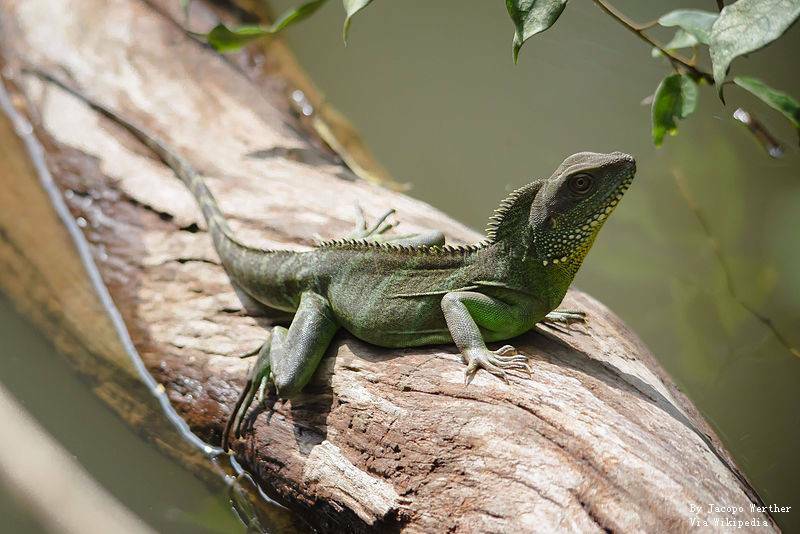 These can be seen along the river from Pha Kluamai Campsite to Haew Suwat falls, sunbathing on the side of the riverbank. Regarding snakes, take care and think them as dangerous animals unless you know the contrary! And about Geckos, they are frequently catching insects on walls and ceilings of buildings. The National Park has three remarkable seasons, with an annual average temperature of 23°C. The ambient is humid with temperatures of 27°C during the day and 13°C at night. Cloudless sky, sunny and cool days. Average temperatures are from 22°C to 10°C. Good weather for hiking. Humid climate with a maximum of 20–30°C and a minimum of 17°C. The entry for Thai residents is 40 baht; for foreigner adults is 400 baht and children under 14 years old, 200 baht; Bicycles, 10 bath; motorcycles, 30 bath; cars 50 bath. Note: Foreigners living in Thailand are not allowed to pay the Thai Resident fee even showing a Thai work permit. The entry fee is per day, it means you have to pay each day that you enter the park. If you go out of the park and then go back the same day, you don't have to pay again. Visit some of the wonderful waterfalls during the Rainy Season. In June, July and August they can be full of water. Under these wet conditions flora also will be at its best. In Hot Season falls would be dry and swimming is not allowed. Haew Suwat Waterfall, worth seeing for anyone visiting the park, this stunning waterfall was made famous in the film 'The Beach'. Further downstream you can find more falls but smaller and quieter. Haew Narok Falls is a three tiered of 150 metres structure. The name means 'Sunken hole of hell' because of its foreboding rumble that could be heard by poachers long before they could see it. On the top of the falls you can find an 'elephant fence', built in 1993 in honor to seven elephants that glided down when trying to rescue one of their babies. Pha Kluaymai Falls, on the trail to Haew Suwat falls, is more peaceful than the other waterfalls. It can only be reached by walking, anyway it is great to watch wildlife while your journey. Non Pak Chi Watchtower is tall tower that makes a magnificent point to stake out the surrounding grasslands and saltlick. From there you can watch sambar, muntjac, boar and, if you've luck, elephants or even gaur. It overlooks the Nong Pak Chi Reservoir, where the birds take flight. Best moments to visit it are at dawn and dusk. Pha Diew Die viewpoint, a 20 minute scenic drive, is going to the main north-south road through the park, with a turnoff about 200 metres south of the junction for the camping grounds and Haew Suwat falls. These two scenic viewpoints present fantastic look-outs. The first is through a raised boardwalk, going to a natural break in the trees, the second is next to the route at the end of the driving-path. Accompanied by an experienced, English-speaking guide you can wander around jungle and observe wildlife. These tours are a great way to discover the fauna of the National Park, you can see from Asian elephants to pig-tailed macaques and white-handed gibbons to real flying dragons. After sunset, it is a good opportunity to search for the nocturnal animal life. 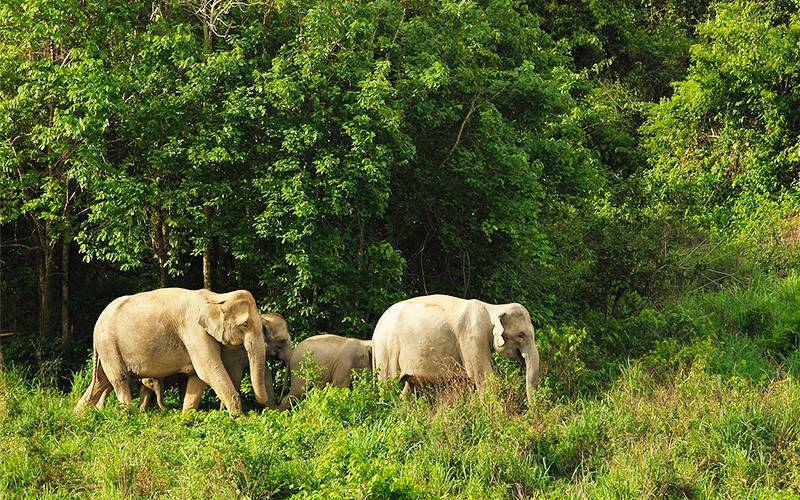 It will be your best chance to look at wild elephants, the most exciting experience. There are available 1 to 4 day tours focused on wildlife, birdwatching, herping, and visits focused on nature photography. Click and see more Widelife Encounter Tour & Guide in Thailand. All can be tailor-made and revised based on your requirements! It is a two-days journey through this fresh jungle which is habitat to wild elephants, bears, snakes, porcupines, tigers, gibbons and parrots. The first day is a trip til the sunset into the uncanny bat caves. The second day is a trip to the waterfall, going across tropical wildlife. To conclude the journey, and back at your sylvan bungalow resort, relax in a herbal sauna. You can choose between a half-day and a full-day tour. Half-day tour includes swimming in a precious natural spring, visiting an underground cave below a buddhist temple and, after twilight, watching 2 millions bats flying. Full-day tour takes you for a walk on hidden jungle tracks into the National Park, to see the fauna with the pick-up truck and on foot, during an easy 3 hours walk. The price includes lunch with water, fresh fruits too, and stopping at the falls and at a look-out point. The guides speak English very well and they are very clever at detecting even the smallest animals on the path. Even they will provide you special socks to protect you against the leeches. The park centre is the main area to take a meal in cafe shops, broadly available even out of season. There are many cafe-type food stalls around the zone but their opening hours are certainly not well defined; so you need luck. The area around the northern entrance of the park has many eateries and shops to fit all wallets and tastes. From the entry, going 3 km to Pak Chong, you will find a small Tesco Lotus and a 7 Eleven; between these last two, there is a market which is open in the afternoons. Something important to consider: most eating spots shutt early. No bars are available within the park but you can find many places to buy drinks close to the northern entrance.